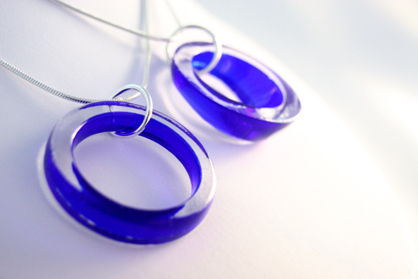 The hand blown glass pendants are quite tricky to make. Each one is blown with hot molten glass at over 1000 degrees Celcius and then annealed. They reflect and transmit light as the body turns.